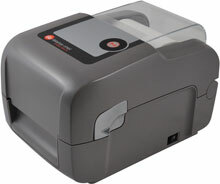 The Datamax-O-Neil E-4204B is the E-Class basic model which meets the needs of the most popular barcoding applications. Standard features include USB and serial ports, 203 dpi, 4 ips speed and 4.25" width. Thermal transfer and label peeler are also available. The Datamax-O'Neil EB2-00-1J005B00 is also known as DMX-EB2001J005B00	or EB2001J005B00	.